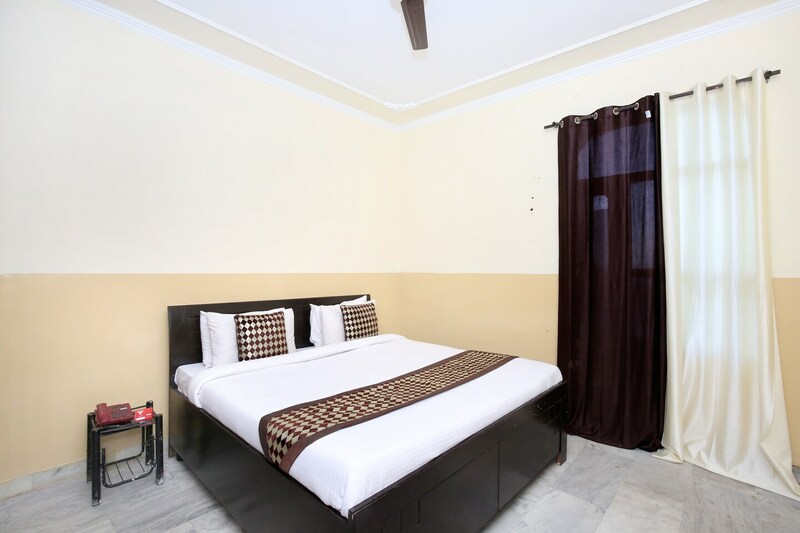 Enjoy a warm and restful stay at Mayur Palace with a central location in Nayagaon. The hotel has a simple outlook with the smart play of soothing and earthy colors and linens. The simple rooms with well-furnished modern interiors are welcoming and homely, open to the view of the city with natural light flowing in. The bathroom is simple with modern fittings. Guests can avail the facility of free Wi-Fi to connect with friends and family or catch up with work. Several well-known restaurants and market place are in close proximity to the hotel. Explore key attractions like Rock Garden, Pn Mehra Botanical Garden, and Shanti Kunj Park near to the hotel.